Here are some snazzy birthday facts about 23rd of October 1970 that no one tells you about. Don’t wait a minute longer and jump in using the content links below. Average read time of 10 minutes. Enjoy! What day was my birthday Oct 23, 1970? October 23, 1970 was a Friday and it was the 296th day of the year 1970. It was the 43rd Friday of that year. The next time you can reuse your old 1970 calendar will be in 2026. Both calendars will be exactly the same! This is assuming you are not interested in the dates for Easter and other irregular holidays that are based on a lunisolar calendar. What day is October 23 this year? There are 187 days left before your next birthday. You will be 49 years old when that day comes. There have been 17,710 days from the day you were born up to today. If you’ve been sleeping 8 hours daily since birth, then you have slept a total of 5,903 days or 16.16 years. You spent 33% of your life sleeping. Since night and day always follow each other, there were precisely 599 full moons after you were born up to this day. How many of them did you see? The next full moon that you can see will be on April 19 at 11:14:00 GMT – Friday. Fun stat: Your first one billion seconds (1,000,000,000) happened sometime on July 1, 2002. If a dog named Spots - a Otterhound breed, was born on the same date as you then it will be 267 dog years old today. A dog’s first human year is equal to 15 dog years. Dogs age differently depending on breed and size. When you reach the age of 6 Spots will be 45 dog years old. From that point forward a large-sized dog like Spots will age 5-6 dog years for every human year. View the complete list of October 23 celebrity birthdays. Who are the famous October 23 birthdays? Here’s a short list of famous people in history who were born on Oct 23. View the complete list of October 23 famous birthdays. 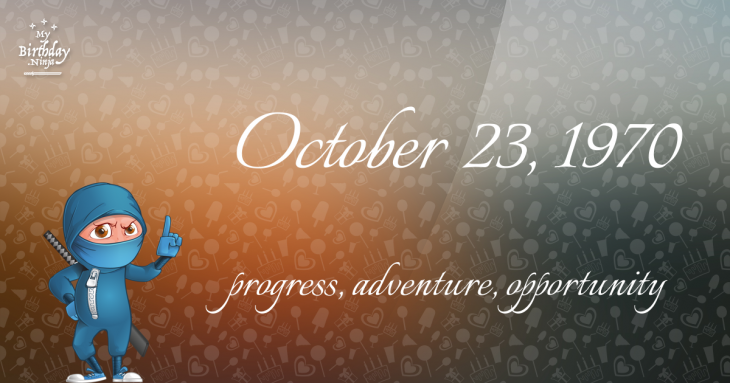 What happened on my birthday – Oct 23rd? Liberators’ civil war: Second Battle of Philippi – Mark Antony and Octavian decisively defeat Brutus’s army. Brutus commits suicide. Irish Catholic gentry from Ulster tried to seize control of Dublin Castle, the seat of English rule in Ireland, to force concessions to Catholics. Claude François de Malet, a French general, begins a conspiracy to overthrow Napoleon Bonaparte, claiming that the Emperor died in Russia and that he is now the commandant of Paris. The first National Women’s Rights Convention begins in Worcester, Massachusetts, United States. Women’s suffrage: In New York City, 25,000–33,000 women march on Fifth Avenue to advocate their right to vote. The United Nations General Assembly convenes for the first time, at an auditorium in Flushing, Queens, New York City. Thousands of Hungarians protest against the government and Soviet occupation. (The Hungarian Revolution is crushed on November 4). A United Nations sanctioned cease-fire officially ends the Yom Kippur War between Israel and Syria. The Watergate scandal: US President Richard M. Nixon agrees to turn over subpoenaed audio tapes of his Oval Office conversations. A powerful 7.2 magnitude earthquake strikes Van Province, Turkey, killing 582 people and injuring thousands. View the complete list of October 23 historical events. Curious about this Amethyst? This is a party item you can activate and send to your friends when you play the free game Jump Birthday Party. It’s a fun and easy-to-play mobile game for all ages. Get free 1,000 gold coins when you download today! What does my birthday October 23, 1970 mean? 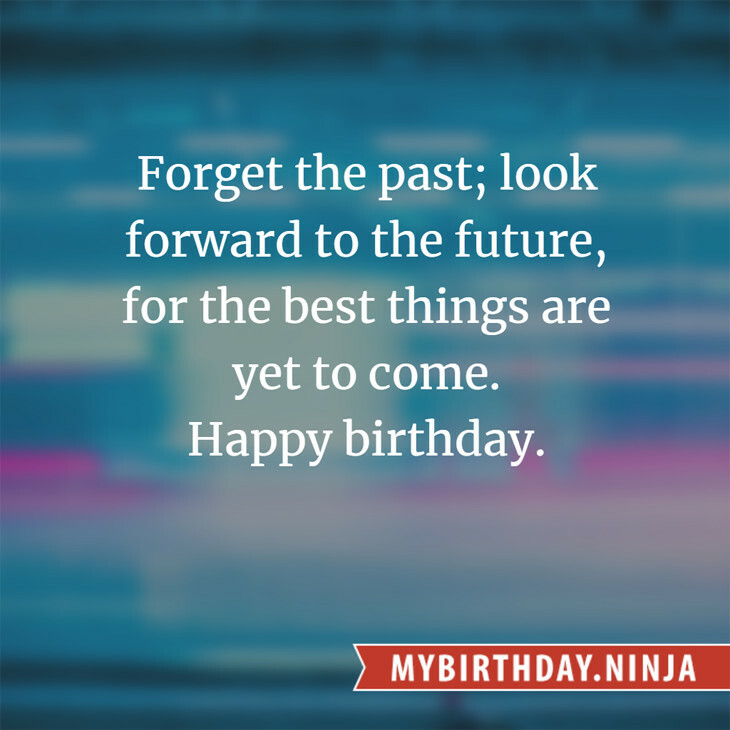 Your birthday numbers 10, 23, and 1970 reveal that your Life Path number is 5. It represents progress, adventure and opportunity. You possess the curiosity of a cat and long to experience all of life. The following celebrities also have the same life path number: Alamgir Kabir, Jaroslava Schallerová, Brian Holland, Gianna Nannini, Audrey Totter, Elisabeth Sladen, Katie Cecil, Kim Hee-ae, Frank Corsaro, Georgia Moffett. What is the birthday horoscope for Oct 23, 1970? The Western zodiac or sun sign of a person born on October 23 is Libra ♎ (The Scales) – a cardinal sign with Air as Western element. The ruling planet is Venus – the planet of love and beauty. According to the ancient art of Chinese astrology (or Eastern zodiac), Dog is the mythical animal and Metal is the Eastern element of a person born on October 23, 1970. What is the birthstone for October 23? Fun fact: The birth flower for 23rd October 1970 is Cosmos for constancy. What is the Love Match for Oct 23, 1970? When it comes to love and relationship, you are most compatible with a person born on February 23, 1998. You have a Love Match compatibility score of +145. Imagine being in love with your soul mate. On the negative side, you are most incompatible with a person born on April 27, 1941. Your incompatibility score is -144. You’ll be like a cat and a dog on a love-hate relationship. Arf-arf, I want to bite you. Meow-meow, stay away from me! What is a good birthday trivia for October 23? The number-one hit song in the U.S. at the day of your birth was I’ll Be There by The Jackson 5 as compiled by Billboard Hot 100 (October 24, 1970). Ask your parents if they know this popular song. I do not know how you feel about this, but you were a female ♀ in your last earthly incarnation. You were born somewhere around the territory of Siberia approximately on 1025. Your profession was handicraftsman, mechanic. How many babies were born on October 23, 1970? Base on the data published by the United Nations Population Division, an estimated 121,504,132 babies were born throughout the world in the year 1970. The estimated number of babies born on 23rd October 1970 is 332,888. That’s equivalent to 231 babies every minute. Try to imagine if all of them are crying at the same time. What is the popular baby name on 23 Oct 1970? What’s your bizarre Florida Man story? The #FloridaManChallenge is breaking the Internet and social media. Some crazy men, women, or creatures from the Sunshine State are making headlines every day of the year including your birthday. Try this fun exercise. Pick your search engine of choice and type in “florida man October 23” and see what kind of wild news headline you will get. This viral craze started in 2013 and gets resurrected now and then. The latest was from Tumblr and found its way to Twitter. As they say, the rest is history. Here’s a quick list of all the fun birthday facts about October 23, 1970. Celebrities, famous birthdays, historical events, and past life were excluded. Try another birth date of someone you know or try the birthday of these celebrities: February 4, 1918 – Ida Lupino, English-American actress and director (d. 1995); September 15, 1921 – Norma MacMillan, Canadian actress (d. 2001); October 6, 1942 – Fred Travalena, American comedian and actor (d. 2009).